NON GMO TESTED AND PROVEN FEED. 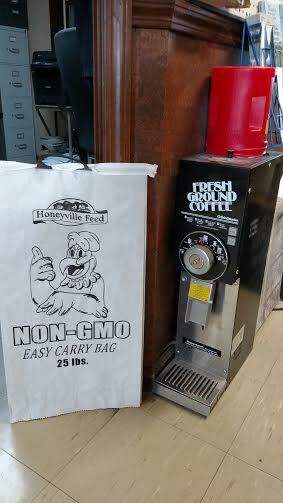 Here at HONEYVILLE FEED we take our FEED very serious. We are cautious to not make feed with GMO’s in it. 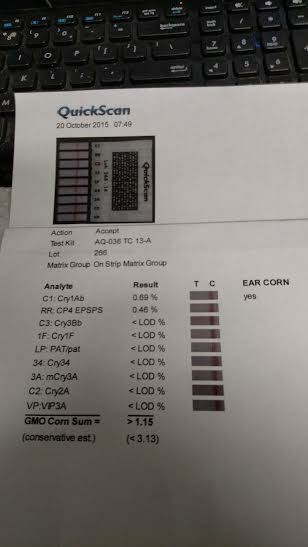 To insure that we are blending only the GOOD stuff ( NON-GMO grains), we test our incoming grains with a special test system designed to identify GMO’s. We have set a threshold that we require the grains to not exceed. 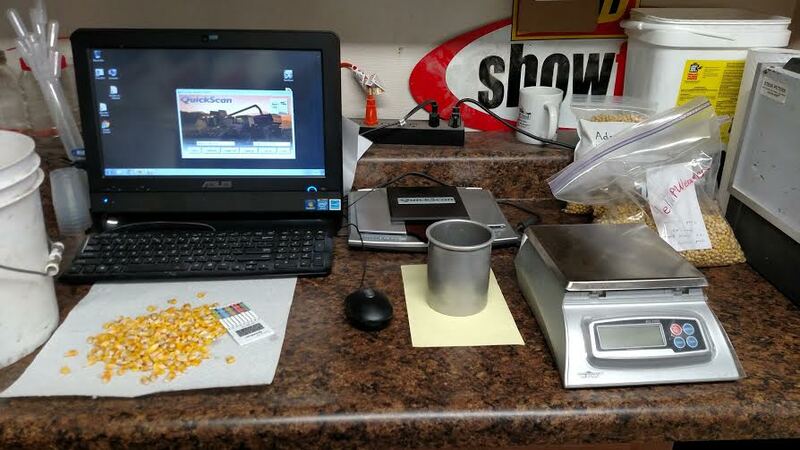 As we test our grains the data is stored in a file on the computer for future reference. As each test is ran it will identify 9 different potential problem traits. As each load of corn is received we use a bun coffee grinder (makes for some interesting tasting coffee) to grind to a specific mesh and then proceed with the testing. The ground corn is then mixed with purified water and shooked to insure it is mixed well.. Many of you are familiar w/ test strips used on swimming pools. This process is similar ,however the 9 strips are place in a reader /scanner hooked to the computer to read the strip. The results are then stored and can be printed for a visual if necessary. For accuracy the tester is calibrated each morning.